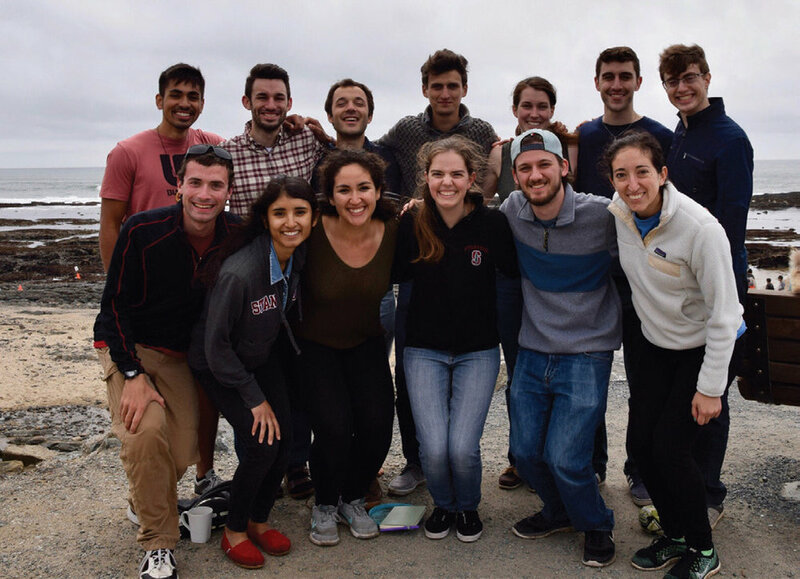 Your support and mentorship has encouraged Stanford students like Maria to serve alongside the marginalized in society and to build on the community that she found at CC@S.
Prior to graduation, several mentors encouraged me to apply for Jesuit Volunteer Corps (JVC). They spoke enthusiastically about the transformative impact JVC had on how they perceive themselves and the world around them. Since one of the four core values in JVC is to live in intentional community, I was motivated to apply. With the horrifying tragedies that continue to pervade society, committing to one year of service to disrupt systems of oppression by working alongside marginalized and disenfranchised groups of people was fitting. This was a daunting task, but the anticipation that I would be in community assured me I could do this. As a current Jesuit volunteer, moving to Chicago has been a major adjustment. Not only will I experience my first chilling winter, but the context of where I live is infested with violence and crime. Poverty and the harmful repercussions of gentrification evidently continue to reshape those communities. However, sharing this experience with four other Jesuit Volunteers has been a blessing. Grappling with these issues through a social justice lens inspires conversations that are provocative and honest. Rightfully, the first few weeks of living in community were awkward. We were essentially strangers to one another. Every time I reminisced about the comfort and joys of my friendships within Stanford’s Catholic community, I was discouraged that my new community did not reflect those sentiments. Yet, I realized it takes time to establish a community. My four housemates are incredibly hilarious, thoughtful, and supportive. Our communal dinners and weekly community nights have instigated opportunities to learn more about each other. Each day, our community grows stronger. Chiara Lubich’s words resonated with me the first time I read them. It’s beautiful to consider that by the end of my JV year, I’ll inherit another amazing family. Upon graduation, Maria Barba ’17, joined the Jesuit Volunteer Corps in Chicago.